Instagram is one of the largest mobile application for photo/videos sharing and social networking service. It can be downloaded on iOS, Windows Phone, Android phone, and tablet. You just need to download the Instagram app on your device to sign up for an Instagram account. But with the latest update, you can now create an Instagram account using a computer. Instagram for PC can be used to login to the Instagram account. Instagram posts can be shared on different social networking sites, such as Facebook, Twitter, Flickr, and Tumblr. Earlier you were able to post 4:3 aspect ratio only but with the latest version on Instagram you can post photos in any aspect ratio. Besides, this can adjust digital filters to images. But remember that 15 second is the maximum duration for Instagram videos to be posted. Go to google play store for Android, iOS app store for iOS or windows phone store for windows phone to download the Instagram application. Search ‘Instagram’ on Phone Store and tap ‘Install’ button. If you are using Windows phone store, it has Instagram beta version only. Third-party applications are available for Blackberry and Nokia Symbian phone. You can use ‘6tag’ as a third party app for Windows Phone. Open app after the installation process completes. When the installation process ends, it will be stored on the device. Tap the menu button and Instagram application. 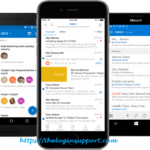 Tap ‘Sign up with email’. An Instagram account can be created with an email address or Facebook account. 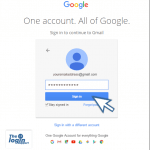 To create an account with an existing email address choose to sign up with email. If you want to sign up with a Facebook account, follow next step discussed below. Provide full name (optional). 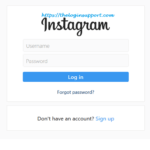 Create a username and password for Instagram. Create a strong and memorable password for an Instagram account. And click ‘Next’. Add Display photo by tapping on ‘Photo’ button. Display picture can be added to an Instagram account by tapping on photo button. It helps your friends and family in recognizing you on Instagram. Try to upload own and recent photo as far as possible. Remember that Display picture will be public. Search your contacts. You can skip this step as this is an optional step. Tap on ‘Skip’ to skip the step. You just signed up Instagram. Now your new Instagram account is ready to use. Download and install the Instagram app or on web version click Login with the Facebook option. After completion of the installation process. Open the Instagram app. To sign up with Facebook click on ‘Register with Facebook’. If you’ve any existing Facebook account to link with Instagram, you can select this sign-up step. By clicking this, you will be given access to Instagram on your Facebook account. But you can edit info you provide to Instagram account. You need to login Facebook account with its credentials for Instagram if you’ve not login Facebook on the device. If you’ve already login, you’ll be directly forwarded to Instagram. 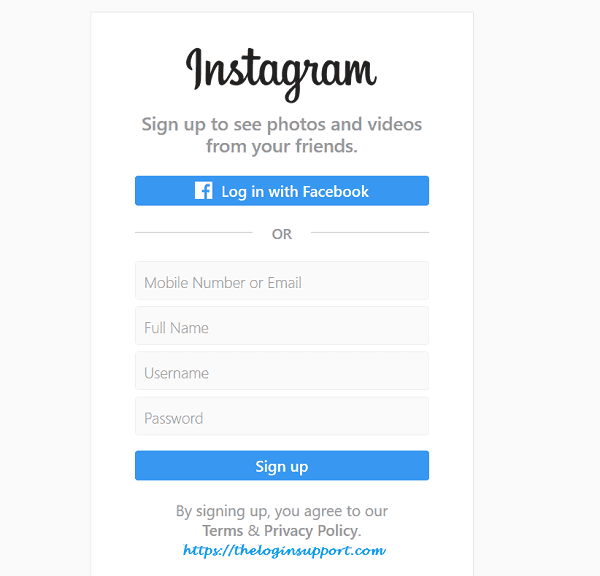 thanks for Instagram sign up steps…….